How to get through the job fairs? Job fairs are usually conducted to hire fresh graduates who are entering in to the job market or professionals who are exploring the fresher jobs. Most of the companies conduct job fairs for initial screening of the candidates and collect their resumes for future openings. With these job fairs, candidates or job seekers get a chance to interact with company representatives and also to know about the industry demands. Most of the candidates do not have a clear idea of how to attend these job fairs and how to get through in these job fairs. Do prior research:As so many companies set up booths in the fair, go through the list of the companies that are participating in the fair. Make a list of the companies that you are interested and do some research about those companies before attending the fair. Manage efficiently:Once you list out the companies that you have to attend, find out the layout of the booths and arrange the companies in an order that you want to be interviewed for. Start with company of your top choice and then attend rest of the companies. There will be thousands of candidates who will come to attend the interview, therefore have patience and wait until your turn comes. 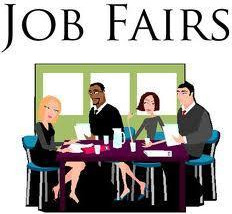 Carry your resume:In job fairs you will have an opportunity to apply for multiple jobs. Therefore create different versions of your resume and carry enough copies of the same. Know about different job profiles beforehand and be prepared to face the interview. Interact with the employers:As their will be huge crowd, you will get only few minutes to interact with the employers, so take maximum advantage of those few minutes to introduce yourself, your career interests and on how well you will fit the position. This will help you as a career builder and support to stand apart in hundreds of applicants. Follow up:Employers will have lot of work to do and sometimes there is a chance that they may miss out your resume in thousands of resumes they receive for job recruitments. Therefore, once you come back from the job fair, do a follow up by calling them or through mail. Following up is very important to avoid the risk of being screened out. 0 Comments on How to get through the job fairs?